I am sooooo excited! 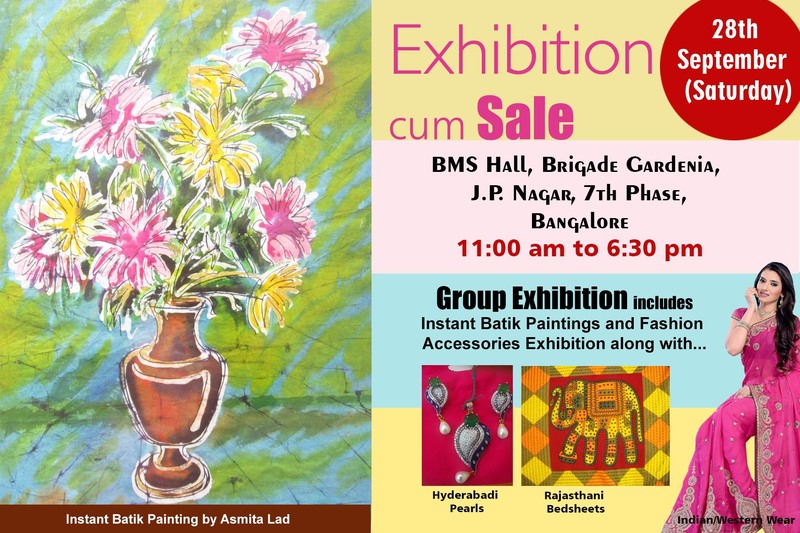 This is our second exhibition in Bangalore. The exhibition will feature instant batik paintings, fashion accessories, dupattas and more! This group exhibition is in collaboration with 3 other members who will showcase traditional Indian jewellery and textiles.